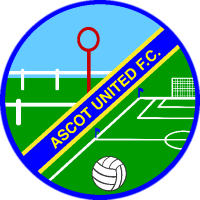 The current Ascot United were founded in 1965, but records show that there were other teams playing under that name as far back as 1928. 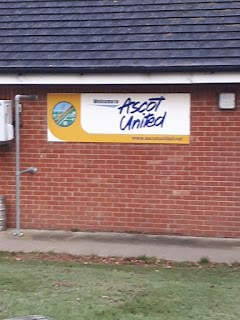 Shortly after forming, the club gained permission from the Ascot Racecourse Trustees to convert some land near one of the coach parks into a football pitch, with a wooden clubhouse being built and the club winning several local honours. In 1980, the men's team disbanded, with the club continuing through numerous youth teams until the men's team reformed in 1988. 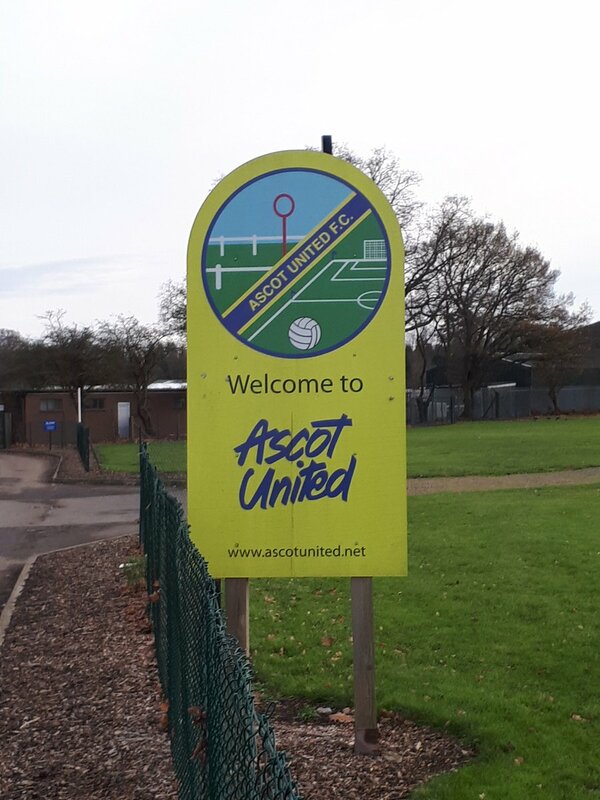 In 2001, after having enjoyed numerous years of success in the East Berkshire League, Ascot joined the Reading Senior League, which was soon followed by promotion to Division 1 East of the Hellenic League at the end of the 2006/07 season. 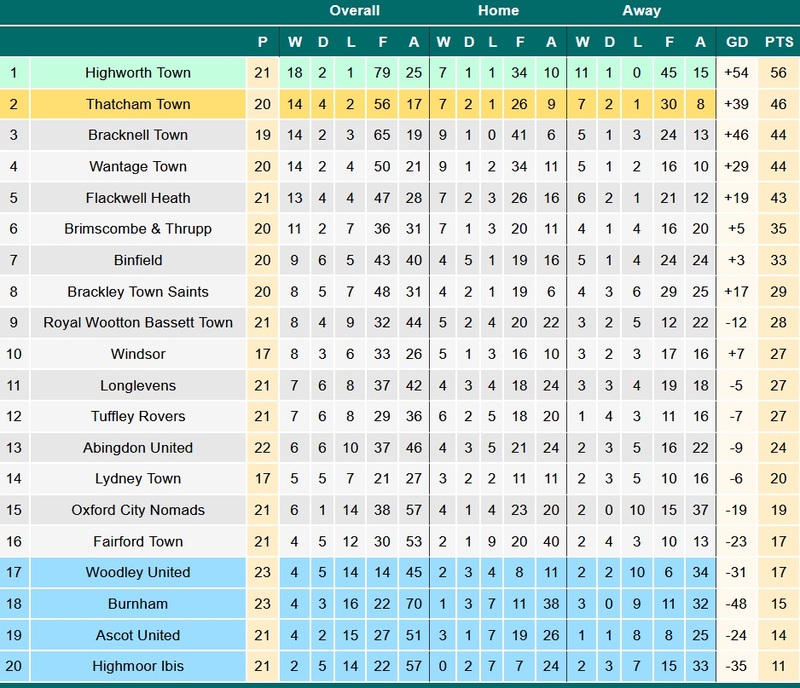 Both seasons in this league saw the club challenging right at the top, finishing 4th in 2007/08 and then finishing 2nd the following season to earn promotion to the Premier Division. Their first three seasons at this level were inconsistent, all ending in mid-table finishes, but a 7th-place finish in the 2012/13 season was followed by two consecutive 3rd-place finishes and one 4th-place finish. However, the 2016/17 season saw a dramatic reversal in the club's fortunes with a 15th place finish, and this season sees the club once again in a relegation battle, sitting second-from bottom going into today's game. In the FA Cup, the club's best progress came last season when they reached the 1st Qualifying Round, beating Milton United and Didcot Town before losing in a replay to Tonbridge Angels. 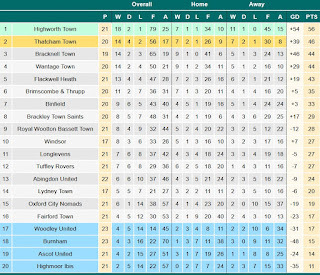 As for the FA Vase, the club has twice made it as far as the Quarter Finals: in 2012/13, Ascot beat Slimbridge, Chinnor, Witney Town, Reading Town, Colliers Wood United, Borrowash Victoria and Newport (Isle of Wight) before losing to Shildon in a replay; in 2014/15, the club beat Holmer Green, Horndean, Newport (Isle of Wight), Colliers Wood United and Norwich United before losing to AFC St. Austell. Originally, my intentions for this day had been entirely different, with my initial aim being to go somewhere a little further out than usual due to this being my last groundhop at University in 2017 before going home for Christmas. 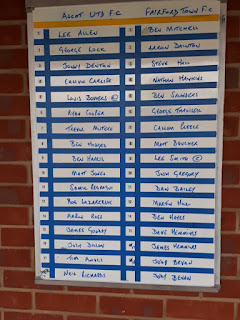 While looking for options that fit the bill, I first left it to a poll - which was won by United Services Portsmouth - which, after much consideration, I planned to ignore in favour of heading to Crowborough Athletic. However, a few days ago, the financial realities of Christmas as a student firmly sunk in, and it became clear that I would have to stick somewhere local again. 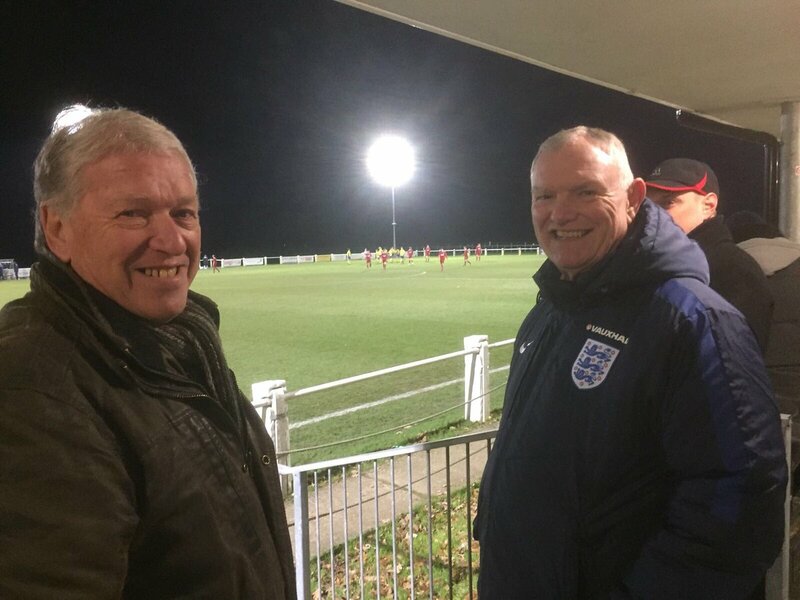 On this front, the first game that stood out to me was Henley Town's game against Penn & Tylers Green in Division 1 East of the Hellenic League, but this idea was scuppered a few hours later once the news emerged that Henley had resigned from the Hellenic League. At this point, I was in a tough spot, with none of my other options massively grabbing my attention and forcing me to just pick one at random, with Highmoor Ibis coming out on top on this occasion. However, this morning I had to change plans yet again with news of a pitch inspection both there and at my second option at Chertsey Town. After looking around for a while, I found this game and, after hearing it was definitely on, waited until just after midday to see if news would emerge from Highmoor or Chertsey: with this not being the case, I couldn't risk either of them and opted to head for Ascot instead. The train journey from Guildford to Ascot was uneventful, but what I did not enjoy was the walk from the station to the football ground: a 25 minute walk, on what has been an extremely cold day, was not at all my idea of fun, especially considering I was having to expose one hand to the elements to properly use Google Maps. Eventually though, I got to the ground at 2:35pm, with Fairford's players arriving five minutes later: as it turned out, they had been delayed in traffic, so kick-off was delayed until 3:15pm (this was problematic because it meant I had to wait an extra 30 minutes to get the train home, arriving at the station 10 minutes after my originally-planned train had left (I ended up getting the 5:53pm back to Guildford rather than the 5:23pm as I had originally intended)). With this realisation, I grabbed a hot dog from the tea bar and ate that before doing my usual circuit of photos. After this, I headed into the clubhouse at 3pm to sit in the warm while waiting for kick-off. When the players did come out to get started, I opted to stand outside the clubhouse, but level with the pitch (the clubhouse is slightly raised above the pitch). The table made for grim reading for both sides heading into this game, with both struggling at the wrong end and in a battle to avoid the drop, leading me to expect a scrappy affair that would likely be low on quality, but possibly be high on goal-mouth action. I expected a pretty scrappy affair, partially because of the conditions and also because of the fact that both these teams are battling near the bottom of the Hellenic Premier. And so it proved, with the game being very physical from the get-go, not helped by the fact that the referee tended to be fairly lenient in such instances. 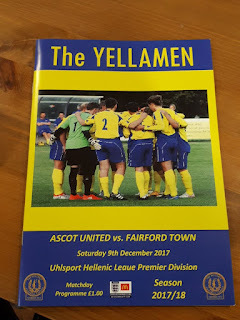 In the opening stages, Ascot seemed to have more cohesion and more of a game plan than their opponents (no doubt helped by the minimal preparation time they had), with Fairford's primary strategy in all departments being to hit it and hope. At this point, it seemed likely to come down to if/when Ascot could start to take advantage of this, with several offside calls saving Fairford early on. And so it proved when Ascot took the lead on 17 minutes, with Ben Harris finishing from close range after a pass across the box. The first half continued in this manner, with Ascot generally having the better chances - but often being let down by profligate shooting - while Fairford's haphazard style of play seriously hindered their ability to have any influence on proceedings, other than in the form of numerous rough tackles. In fact, such was how poor Fairford looked in the first half that it was a complete surprise when they equalised through captain Lee Smith on 40 minutes, a pass across the box leading to an initial shot that was saved before Smith pounced on the rebound. However, while it was against the run of play up to that point, it did feel oddly appropriate for the two teams to be on level terms, although as it turned out this wasn't the case for very long anyway: on 44 minutes, Ben Harris made a cross into the box that eluded the Fairford defence and goalkeeper, leaving Trevor Mutero free to tap into the net at the far post. 2-1 to Ascot at half-time. In the second half, Fairford came out looking slightly better than they had in the first half, in that there actually seemed to be some kind of game plan other than just randomly kicking the ball away and giving it straight back to Ascot. However, Ascot still looked the better side - just - and had an excellent chance to increase their advantage early on, with an excellent reflex save from Fairford's Ben Mitchell keeping the Ben Harris shot out of the net. 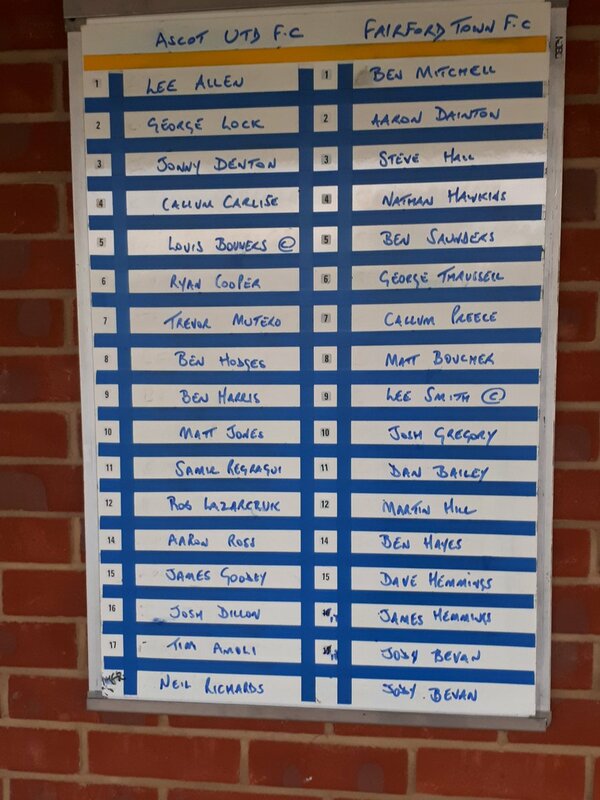 Ascot continued to have more chances than Fairford, but as in the first half it was the away side who pulled one back against the run of play, with Callum Preece's shot from the edge of the box on 57 minutes eluding Lee Allen in the Ascot goal. After this second equaliser, the game started to become even more scrappy and came close to boiling over on a couple of occasions, but fortunately the players all had enough restraint to prevent this from happening; generally speaking, Fairford were more at fault for this (there were a couple of occasions when I thought that Fairford should have had a man sent off, only for the referee to settle for a yellow card) and seemed to be constantly moaning at the officials as well, but it's fair to say that both sides were at fault for this to a degree. 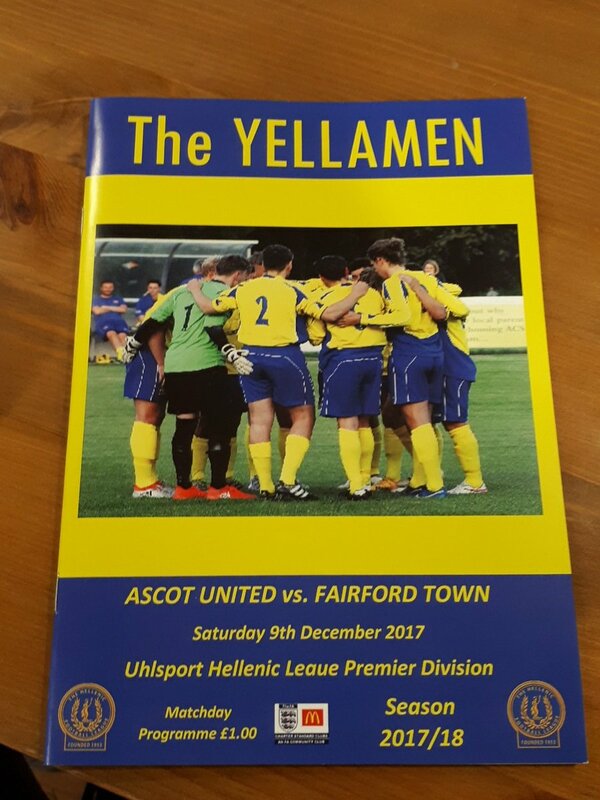 In any case, Ascot regained their lead on 68 minutes in some style, with Ben Harris picking up the ball and dribbling round a couple of defenders before taking a curling shot past Ben Mitchell in the Fairford goal. After this, it was no surprise whatsoever when Harris completed his hat-trick on 77 minutes, this time scoring from a header after a free-kick was speculatively floated into the box; I don't know if it was a "perfect hat-trick or not" though, as while I know his second was scored with his right foot, I don't remember which foot Harris scored his first with. In any case, both sides had decent chances to score more goals after this point, but ultimately Ascot were able to hold on for the win. All in all, while this is the joint-highest amount of goals I've seen in a game this season, I feel like I'm slightly hard-pressed to say it was massively entertaining: it was certainly more entertaining than the game at Westfield, or the game at Waltham Forest, but the game was also rather low on quality of times. On that note of quality, I would say that neither of these sides looked as good as Bicester did when I went to visit Sandhurst a few weeks ago: considering what I saw on both occasions, I would expect Bicester to beat both of these teams who played today, although they would probably have a much easier time with Fairford than Ascot. Overall, other than the bitter cold and the long walks to the ground from the station and vice-versa, this was a reasonably enjoyable day and another good groundhop, although honestly with so many games postponed today I was just happy to get in a decent game with plenty of goals in. 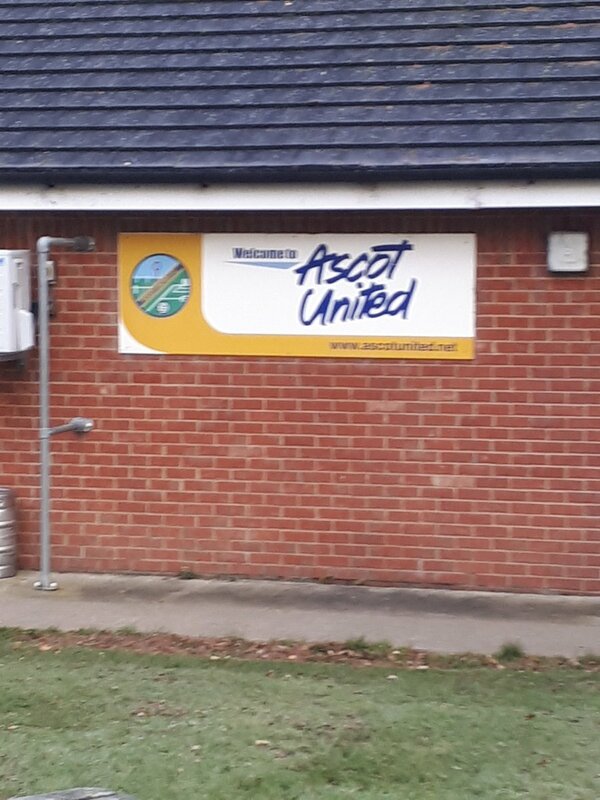 It also helped that Ascot seemed like a nice and friendly club, one that is definitely worth visiting if you can. The Racecourse Ground is a fairly basic one, but one that is sufficient for the club's fanbase and current league standing. The only seating at the ground is a 100-seater Atcost to the right of the clubhouse, with the overhang of the clubhouse providing the only other cover at the ground. Other than this, three sides of the ground are open hard standing, with the area behind the goal on the racecourse side lacking hard standing. The ground's overall capacity is 1,150, with the record attendance being 1,149 for the club's FA Cup debut against Wembley in 2011. What makes the ground slightly more unique than it appears at first is its location: firstly, it is located directly next to part of the iconic Ascot Racecourse (as seen in some of the pictures below), with the Royal Ascot Golf Club and some sort of miniature railway also nearby. However, this location may prove to be a nuisance for the club if they ever progress higher up the pyramid, as I can't imagine it being easy to get planning permission for ground improvements here. Saying that, the club has plans to get a 3G pitch laid down by the start of the 2019/20 season.